Gluten-free oats, organic agave, blueberries (blueberries, sugar, sunflower oil), flour blend (brown rice flour, white rice flour, tapioca starch, sweet rice flour, xanthan gum), organic coconut sugar, monounsaturated safflower oil, organic eggs, almonds, coconut, chia seeds, gluten-free flavors, sea salt, baking soda, xanthan gum, lemon oil, nutmeg. Contains: Coconut, eggs, and almonds. 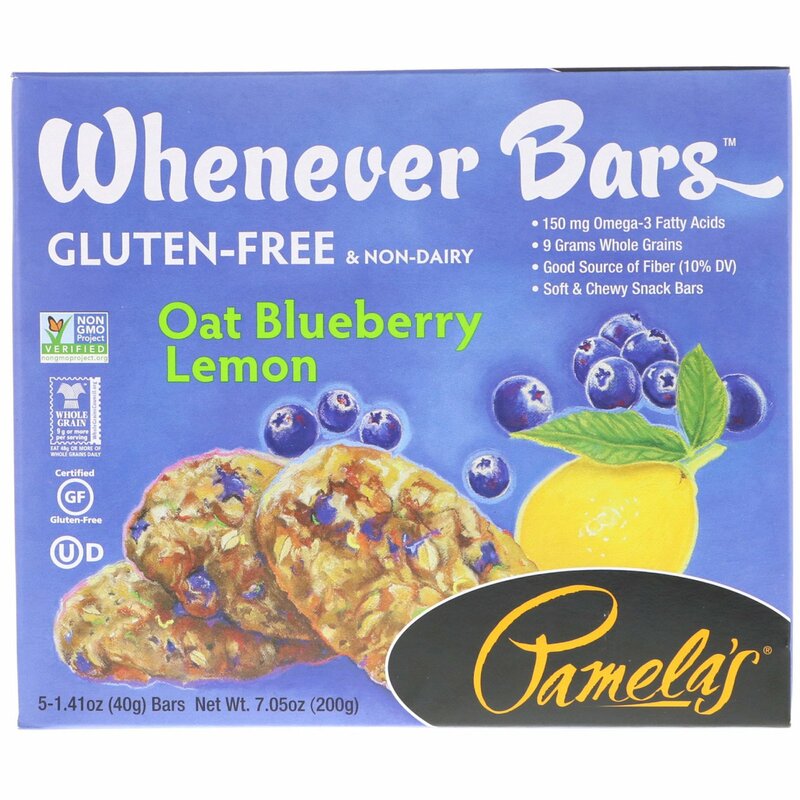 Pamela's Products have been formulated and produced to be wheat-free and gluten-free, and manufactured in a gluten-free certified facility. 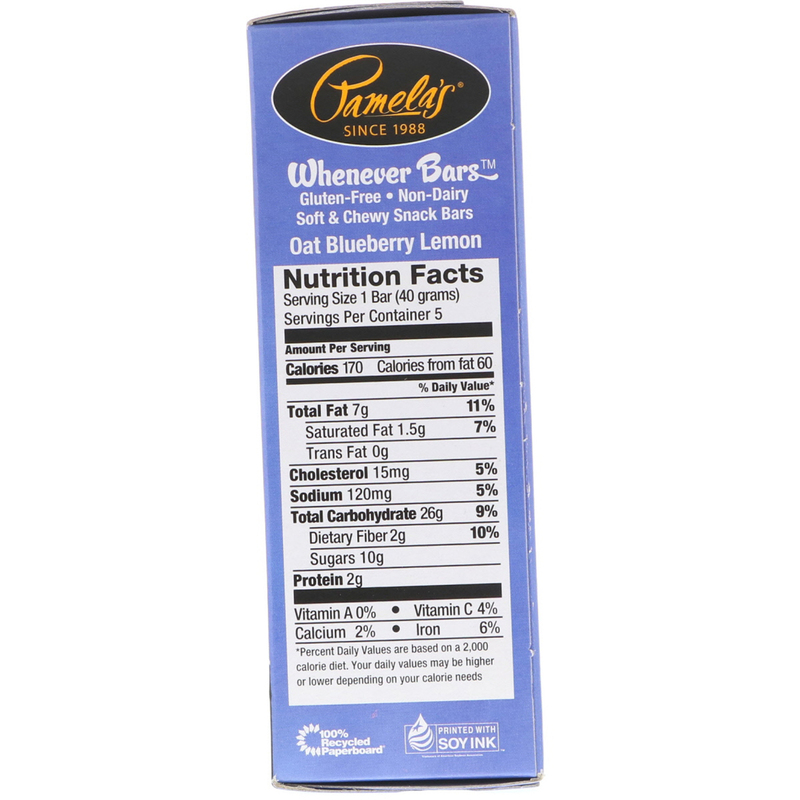 Our products are produced on equipment that process peanuts, almonds, walnuts, pecans, coconut, eggs, soy, and milk.